Long time no update! This is the practically first week of just normally scheduled classes in over a month. 5th week of March – A normal week! So I haven’t talked a ton on here about the big math research project we tried this year. In an effort to bring in more project-based learning / sharing your work, our math department tried our first math fair. We didn’t call it a math fair though because that sounds lame. We called it a math exhibition. Initially we wanted it to be something where students explored some topic within the curriculum they were in, did some research, and shared what they learned in some sort of visual presentation. We did this from 6th-12th grade. The juniors and seniors really focused on starting or continuing their work on their mathematics internal assessment since we are an International Baccalaureate school. We went into it saying ‘the only way we fail at this is by not doing it.’ Framing it like an experiment and learning opportunity helped us recognize that this first iteration of it was probably going to be a bit sloppy and that’s OK. I’d say the biggest success was the 6th grade Math Skills class, mainly because that was the class that had the most structure. Since we were finishing up our fractions unit, they did a project where they had to take recipes and multiply the ingredient quantities by 3 1/2 as well as divide the by 2 as if they were preparing for two different parties (a big party and a small party). They made a big poster of their work and actually made the dishes and shared with classmates. We had a rubric we went over beforehand. I made a video on the whole process HERE. A friend who watched the video suggested that for the ‘exceeds expectations’ part of the rubric, students should have to visually model at least one of the problems where they multiplied a mixed number by 3 1/2. Great idea. Thanks Scott! My Pre-Algebra classes were a little less successful. I told them they could pick a topic from Pre-Algebra or some other concept if they found something they were interested in. I offered up ideas like the Fibonacci sequence, infinity, zero, math in music, and some others. Most people opted for those alternative ideas because they were more interesting. I sort of didn’t want to make it so open ended because I wanted this to be a project that would supplement what we were doing in the classroom, instead of having our coursework and then this totally different thing. I decided to allow them to choose these other options because I wanted them to actually be excited about the project. They indeed were excited but it led to a lot of extra challenges. The first challenge was that we didn’t exactly know what this would or could look like. We just knew we wanted them to research a mathematical concept and create a visual presentation. We didn’t have any rubrics or checklists from the beginning, we sort of just made it up as we went. Additionally, some of these concepts were really difficult to find kid-friendly resources on that still provided depth. Also, I ended up having to take class time to teach some research skills. One of the assessments was just having a certain amount of notes on their topic. Quite an arbitrary assessment that didn’t really assess if their knowledge of their concept was deepening in any significant way. I had students that wanted to explore math and art but ended up just making an art project that didn’t incorporate math in any meaningful way. I had students who have been in music classes for several years talk about how math is in music by explaining basic time signatures…knowledge they had before they even started the project. I had students who tried to find math in extreme sports but was surprised (as was I) when there really weren’t a ton of great resources on it. I had students who wanted to do math in architecture who ended up sharing the history of architecture and saying ‘geometry was involved’ and that’s about it. Successes included a student who indeed did choose some Pre-Algebra content (writing expressions based on visual patterns) and chose to do it because she struggled when we learned it in class. She became really good at it and presented strategies on how to create those expressions. Another student explored the Pythagorean Theorem, something he wouldn’t learn for at least another year, and was able to actually solve a couple problems with it. New knowledge and sharing of new knowledge. Success! Saw some students from other classes get into the finer points of physics involved in creating roller coasters, the math behind the structure of a chicken egg, the math involved in building a jewelry box, and the various paradoxes of infinity. Feedback from students was that they enjoyed exploring something new but really felt the whole thing lacked structure. They didn’t like that expectations would be presented to them after they had already started the next part of their project. I didn’t explain the grading criteria for the presentations until the week of the presentations. Even the actual presentations were unorganized. We tried ‘gallery walk’ style with one class and then actual ‘present to the class’ style with another class based on the amount of kids and what we had time for. I think next year I will limit the possibilities of what they can do a project on; perhaps they can pick from one of the two to three units in Pre-Algebra that I always want to do but never get to (central tendency, statistics, and some geometry). Maybe I can even outline a project for each of the three units and they can pick from that. I’ll have resources and can make them open-ended within the project (like how the 6th graders could pick whatever recipe they wanted to do). And most importantly, I can be super specific with expectations right from the get go. I teach ratios and proportions in both my 6th grade math skills and 7th grade Pre-Algebra classes. For the longest time, they sort of mirrored each other (partly because I have some 6th graders come right into Pre-Algebra and haven’t actually learned it yet), but I’m starting to make them a bit more distinct…because they should have been distinct from the start. 6th grade math skills learns about basic ratios and proportions with whole number scale factors. Pre-Algebra will solve problems with multiple ratios and rational number scale factors as well as learning the cross products method that results in solving a one-step equation (which our 6th graders don’t know how to do yet). 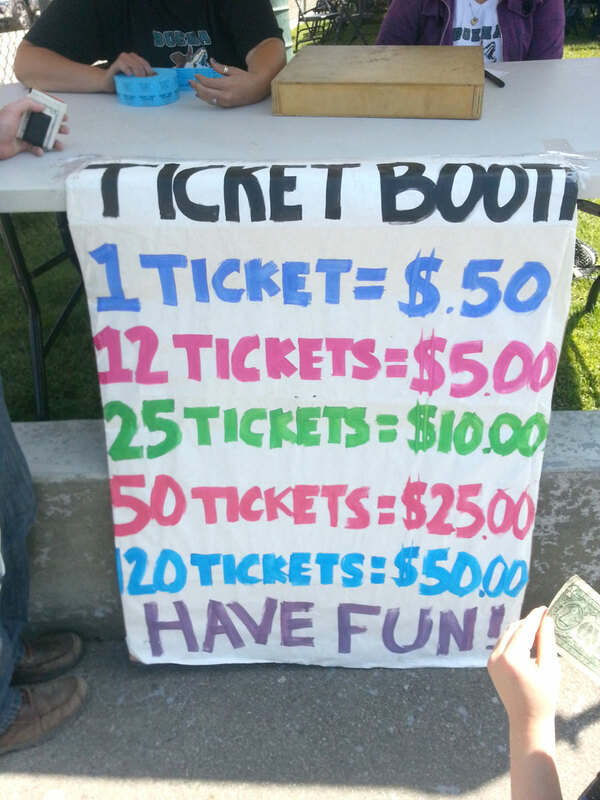 I did a ‘ticket booth’ problem for unit rate in Math Skills. The goal was to figure out which deal was the best. One class period did fairly well with it. One student solve it by saying how much money you were saving (if any) with each rate, another said how many extra tickets you were getting, and another actually used unit rates to solve. Perfect progressions of methods to go through. My second class that struggles a bit more had a little rougher go. One student did find out how much you were saving, but miscalculated. Another student compared rates listed to the rate above it (instead of comparing to the very first rate given). When I tried to list the unit rate for each one and asked students how I’d find the cost/ticket, I was met with silence and blank stares. A mix of just being tired/disengaged as well as not really knowing what to do. I got pretty frustrated because I didn’t really know where to go from there. They were checked out and didn’t know what to do. I had them copy down what I wrote each step of the way. By the end of going through the unit rate of the first four, most were able to get the last two on their own. Who knew, sometimes just saying ‘please just write down exactly what I write down’ actually leads to some progress.